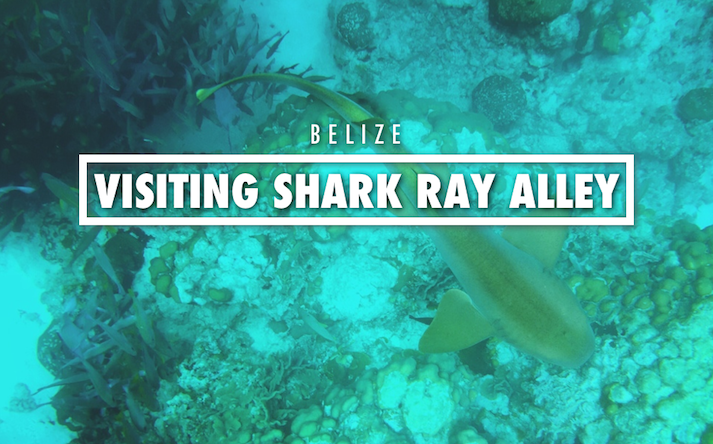 VISITING BELIZE’S SHARK RAY ALLEY! Shark Ray Alley. It’s a spot that many travelers to Belize hope to visit — and for good reason. 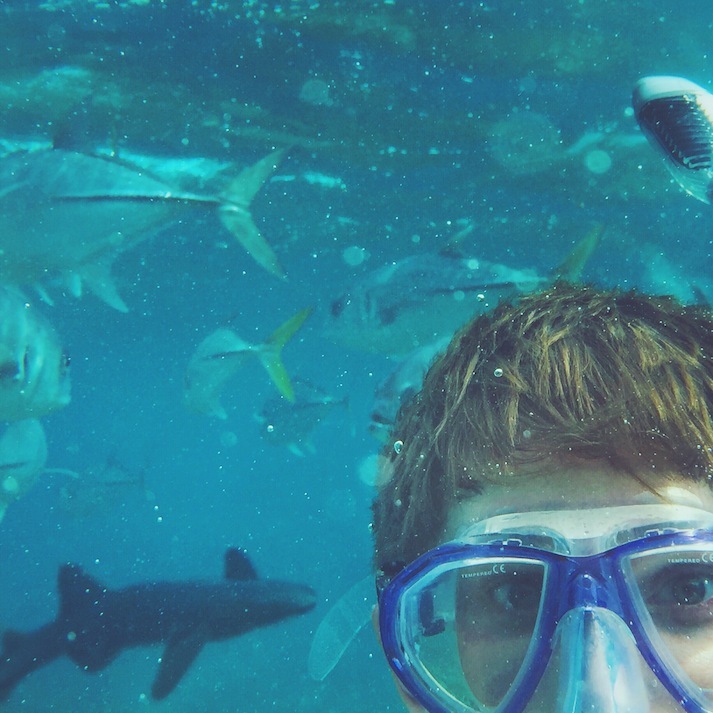 First, there are few other places in the world you can say you jumped in the water and swam with sharks. 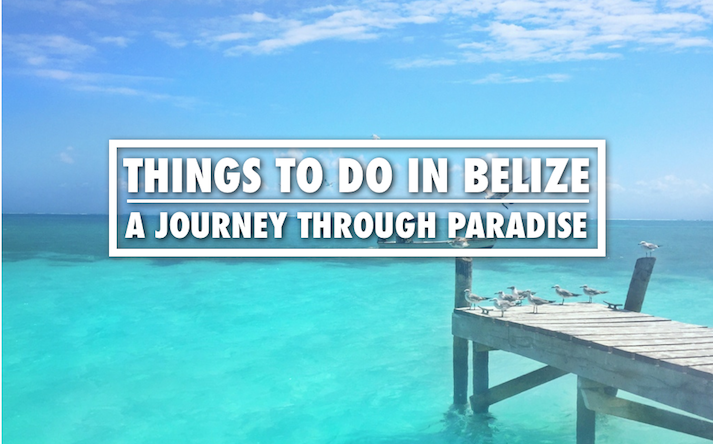 And second, thanks to Belize’s perfectly warm and crystal clear water, there are few other places you’d rather. Getting there won’t be a problem (as you’ll read below, it’s fairly accessible), being brave enough to jump in, however, well that’s another story. But don’t worry, you can do it! And to make it easier, here’s all the information you’ll need to make trip to Shark Ray alley even easier. 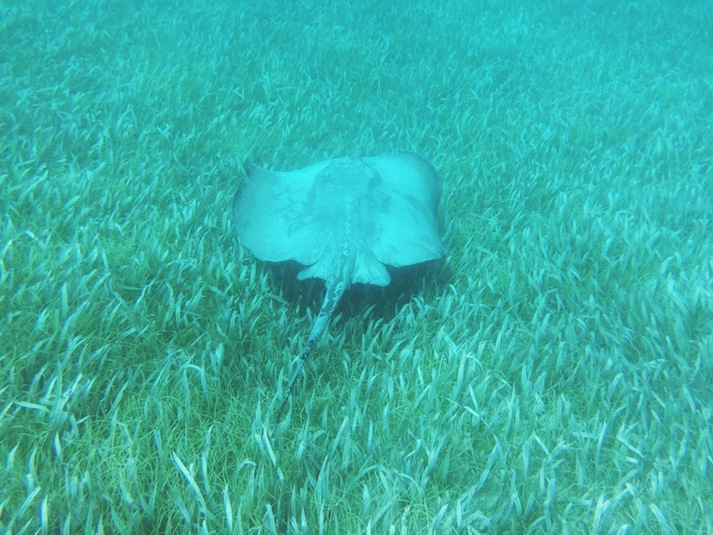 Shark Ray Alley is a zone within the Hol Chan Marine Reserve — a protected area comprised of 13,632 acres of marine waters located a little over four miles south of San Pedro on Ambergris Caye and approximately 30 minutes north of Caye Caulker. Hol Chan is part of Belize’s barrier reef — which happens to be the second largest barrier reef in the word. But lucky for you, unlike the Great Barrier Reef (the world’s largest) and many others, Belize’s barrier reef is remarkably accessible. 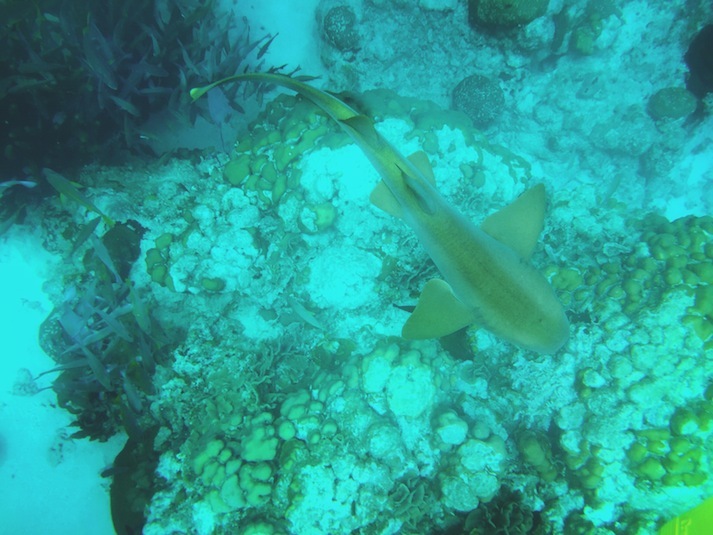 In the country’s north (the location of Shark Ray Alley), the reef can be found just 1,000 feet offshore. Fun Fact: Hol Chan means ”Little Channel” in Mayan — and is named as such thanks to the natural cut/channel through the reef at this location. 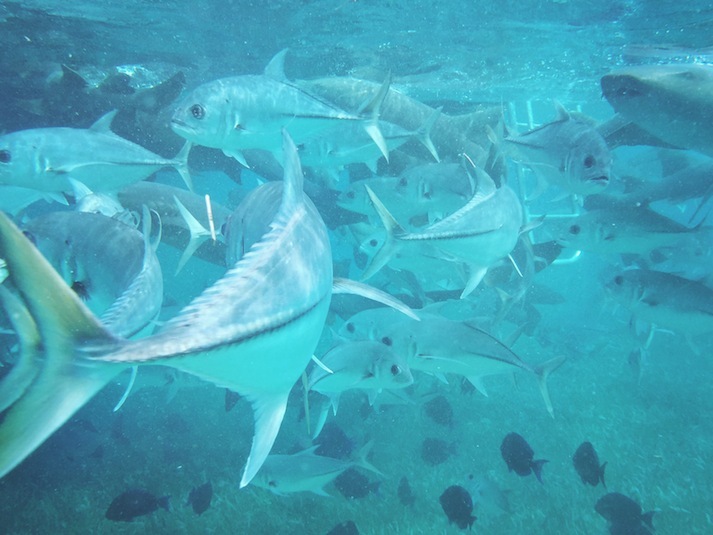 Most every trip to Shark Ray Alley includes two stops — the first to snorkel near the natural cut in the reef and the second to swim with the sharks and rays at Shark Ray Alley. Both locations offer moderately calm and crystal-clear turquoise water. The depth of the water for the first snorkel ranges from fairly shallow to over 60 feet (on the edges of the reef), and your guide can provide life jackets for those who need them or just want a little extra buoyancy. For your viewing pleasure, the Hol Chan Marine Reserve boasts over 160 species of fish and almost 40 species of coral. And if you’re lucky, a sea turtle or two might also make an appearance. But what about the sharks? That’s what you really came for. 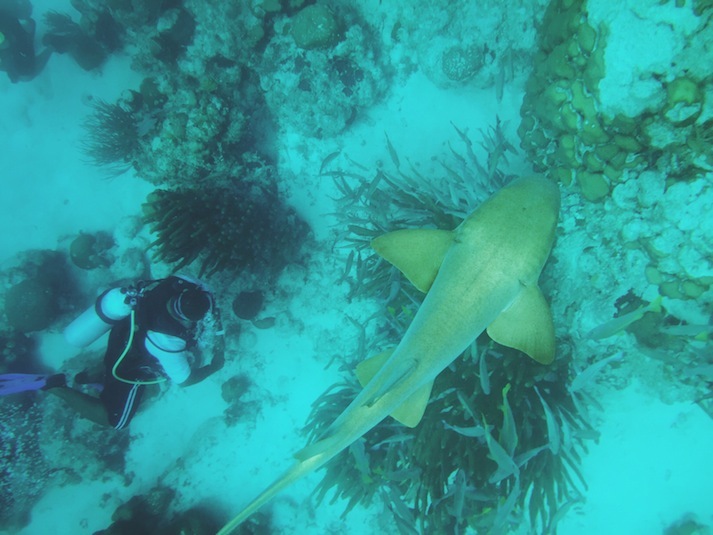 Thankfully, it’s nurse sharks who inhabit these waters — and although some can be as long as six feet, they are usually quiet docile. After your first snorkel stop, you’ll get back on the boat and continue to Shark Ray Alley, which is just a few minutes away. Once there, your guide chums the water with a little shark food (they’re much more interesting in it than you), attracting the sharks. With several sharks swarming at the back of the boat, you’ll then be offered the chance to get in! My photos should give you a good sense of what that’s like. How Did Shark Ray Alley Come To Be? Sharks and rays have been gathering in the area now known as Shark Alley Alley for quite some time — before travelers ever started swimming with them. For years, local fisherman would fish around and beyond the reef — and before returning to shore, they would clean their catch just inside the reef (i.e. dumb their fish scraps into the water). 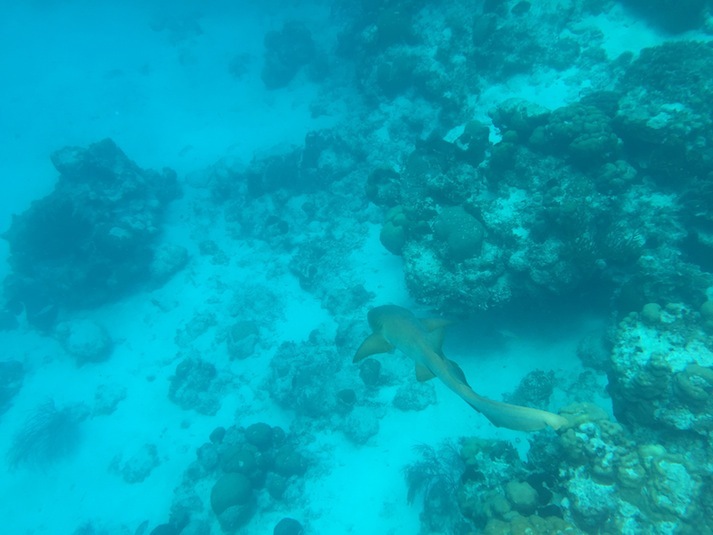 This, of course, attracted the nurse sharks, who began to show up regularly — after all, they know they could land an easy snack here. 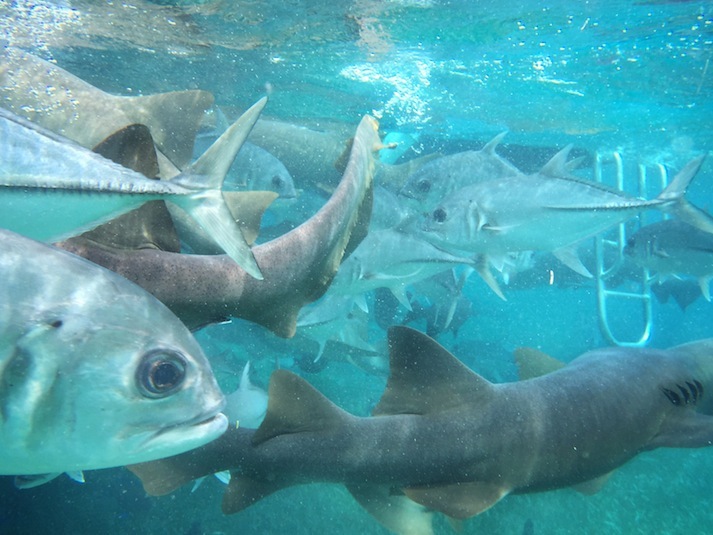 After some time, dive operators in the area found out about the consistent and reliable swarm of sharks, and the area soon became a popular dive site. The rest is history. There’s an almost endless list of tour operators who offer trips to Shark Ray Alley. The key is choosing the right one. Ideally, you want to be part of as small a group as possible — or if you can afford it, consider chartering your own boat to take you and your group. Give preference to operators who use a sailboat or catamaran. It’s way more memorable and peaceful to sail than to just zip there on a noisy speedboat. Also, make a day out of it. Don’t just rush out and back — enjoy the water, the breeze and the sunshine! If departing from San Pedro, some operators offer itineraries that include a stop for snorkeling around the reef, a stop at Shark Ray Alley, then continue on to Caye Caulker where you’ll be able to spend a few hours. This is what you want. And that’s exactly what I did. 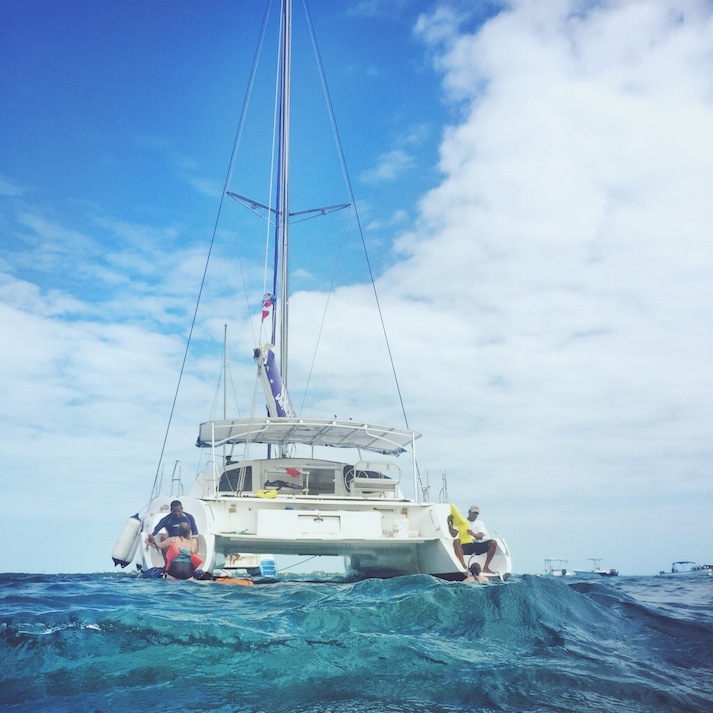 Our small group went with SEAduced by Belize’s Caye Caulker Day Sail and Snorkel Trip. We had a beautiful catamaran all to ourselves, complete with captain and first mate. 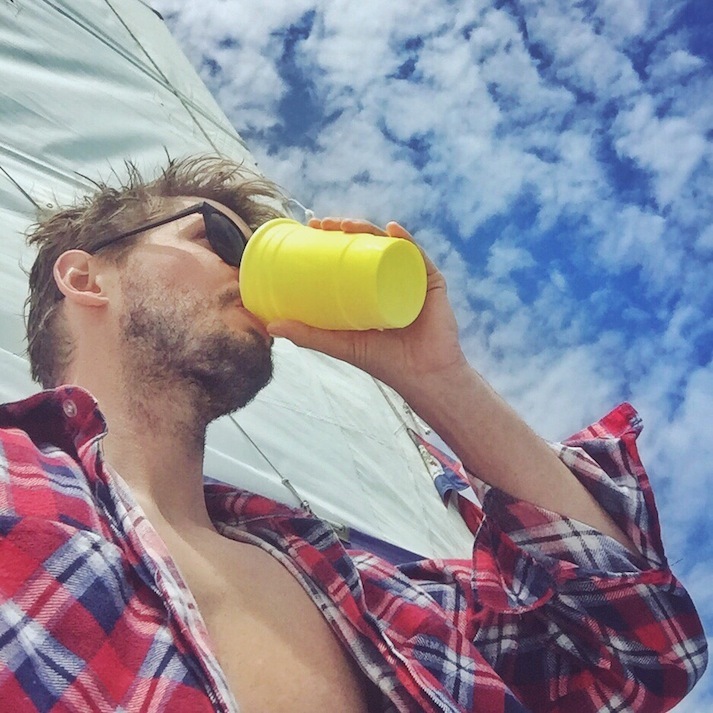 Trust me, when the sails go up and your cruising across the water, lounging on the big hammock-like net at the front of the boat, you’ll be in full vacation mode. Plus, included in your trip: cold and strong rum punch, beer, soda and delicious handmade chips, salsa and ceviche.